Gary [Grubbs, her son] had a “print out” of your information on the internet. 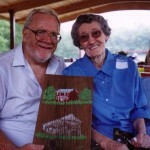 [I’m sure he had shown her some family history stories and pictures from our webpage, E-gen.info.] There are a few details I could add. 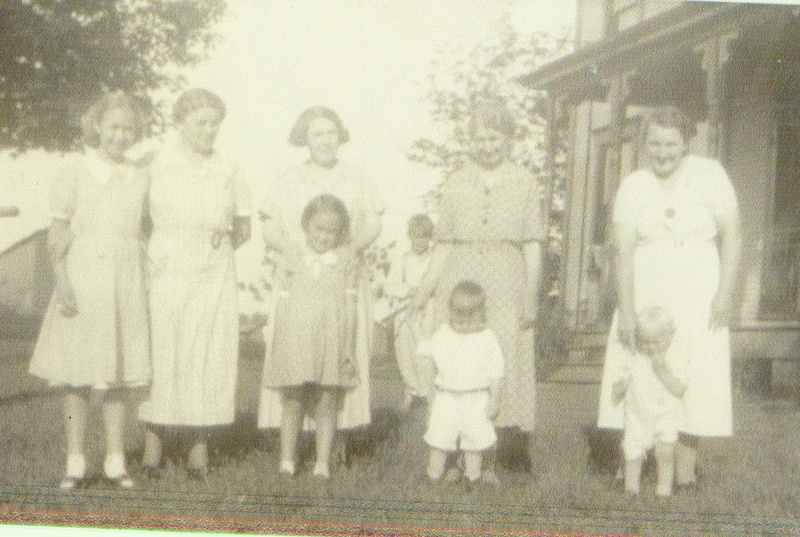 I don’t remember the year that the Gray Clan met at the farm, but probably 1936. 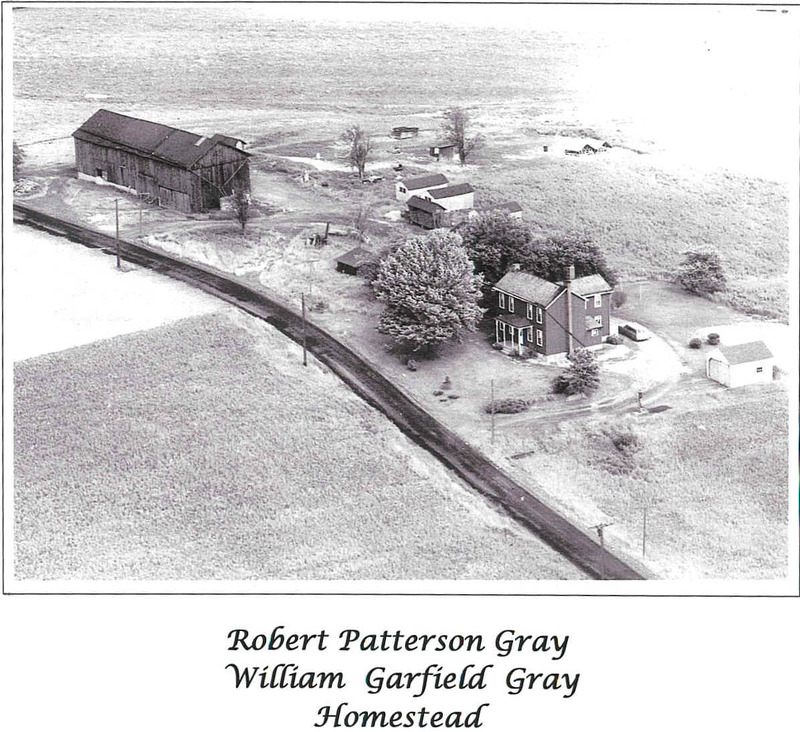 [In the Scottish tradition, our greater Gray family is always referred to as “The Clan.” “The farm,” seen below, is the William and Elizabeth Gray farm, inherited from Elizabeth’s Leslie parents about 1837 and handed down to their son, Robert, and eventually his son-in-law William “Will,” Ella Mae’s father.] At one time I had a few pictures that were taken. 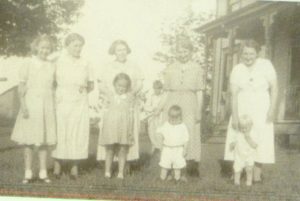 The one picture was the four women of the Clan and their youngest child. 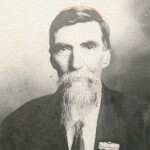 Bertha Paul [my grandmother, wife of Paul and therefore called “Bertha Paul” to distinguish her from Ella Mae’s mother, “Bertha Will,” daughter of William Gray and wife of William Bonin] had Lawrence standing beside her and Bertha Will had David standing by her. The children were probably 2 1/2 years old. Aunt Elma had Dottie standing by her. She was probably 10 or 12 years old. Janet [Gray Kellar] had Janet Louise standing by her and she too was 8 or 9 years old. Also, there was a picture Edna Gray [her Uncle Paul’s daughter, my aunt] and me, my Great Uncle Will’s daughter. They were high school age. I don’t know where the pictures are. [The photos were later found.] The highlight of that reunion was a 5-gallon can of ice cream packed in dry ice. I can remember how excited most everyone was. It meant Uncle Stanley, Uncle Paul, and Aunt Janet were back home on the farm they had grown up on. My father, William, had stayed on the farm. I can remember getting ready for the reunion. For Daddy to get all the farm work done in the summer and have time to have the area around the barn all mowed and cleaned—and there was a long distance between the barn and house to mow with no riding mower—the yard and area around the house also had to be cleaned and mowed, a few flowers trimmed, and the chickens all be put back in the chicken house. Then, for mother—all the work a farmer’s wife has in the summer—with garden, canning, etc. The house had to have a special cleaning, curtains checked, tables planned, cellar cleaned, and of course, each day there were three meals to prepare for 6 kids [ranging in age from 2 1/2 to 18 years old], and washing, ironing, etc. I can remember how hard we worked, and finally the day came. 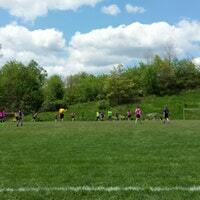 It was a nice, sunny day. God blessed us good, and everyone had fun. But, Mother was getting older and to have another reunion was too much. No one else offered to have the reunion. Plan 1 – The Reunion could not be held on the Gray homestead because it was sold a number of years ago and is all built up with new homes. 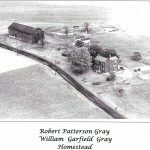 The Gray house is still there, but the barn has been torn down and a building replaces it. I think the people who own it work on old cars. The nearest park to the Gray Homestead is Bairdford Park. Across the little creek below the park stood the old grade school where the William Gray kids walked to school (and that included me). 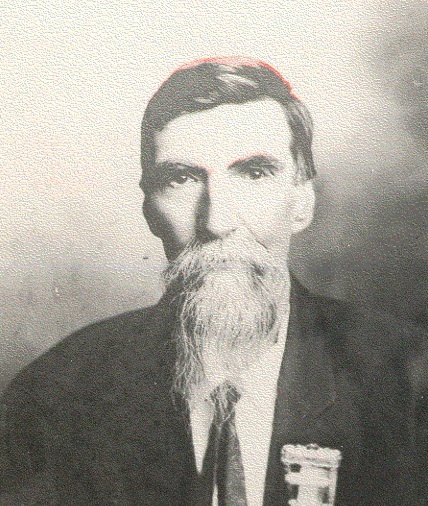 Plan 2 – Regarding tours to family cemeteries, the Robert Patterson Grays were all buried in Bull Creek cemetery. Many of the Paul Grays are buried there also. It is located in West Deer Township and might be very interesting. In mentioning the CD, my thoughts go to the McIntyres who always attended Deer Creek Church, and they held their reunions in the church facilities. 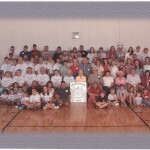 Would Bull Creek Church have facilities to accommodate our reunion, and would they be open to outsiders? If the reunion were held in a building, a video could be playing all the time, and as it suited people as they come and go, they could watch parts or all of it. Haven’t mailed this letter yet. (I hope you can read and understand it.) But I couldn’t sleep last night and got to thinking about the 50th Anniversary Reunion. Maybe it would be a good idea to plan the reunion indoors. We have been so blessed each year with good weather—but anytime in the summer it could be rainy and cold. As I was getting lunch ready, I decided I would take the liberty to call Bull creek Church and check if they have facilities for a reunion and if they accommodate outsiders. So—I called. The lady was Very [underlined] nice. Yes, they have facilities. She wanted to know when? I told her as of now we have no plans. she said, “Decide on a date and let her know.” They have a few reservations already for next year. 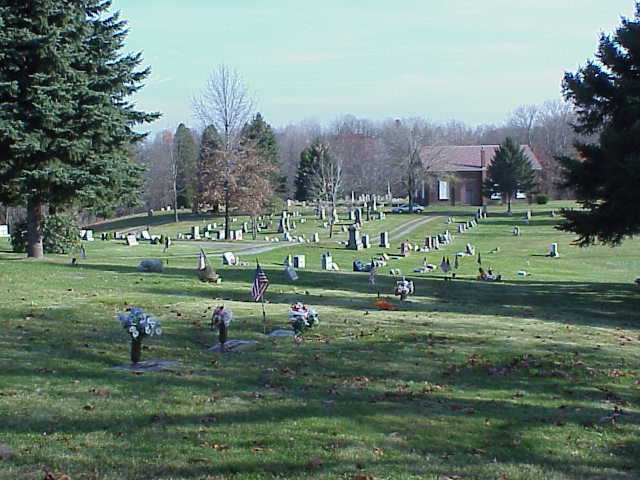 People could visit the cemetery at their leisure. It might be possible that different families might have some memorabilia that could be displayed if it were indoors. Anyway, I agree with you that some plans should be made for the 50th Anniversary Reunion. Yes, I agree with you that it is most important to get and preserve the Gray family history—by CD or video, which would be a good bit of work—or a booklet might be appropriate. You could read the history anytime and anywhere, and one would not need a TV or CD player. West Deer Township had an anniversary book printed; the pictures were just black and white, but you got a good idea of the picture. Larry, if history of the Civil war has been entered on the internet, and you could find it, would there be a possibility that Robert Patterson Gray could be mentioned? He had a lot of decorations from the Civil War. [initialed] E.G. Dear Ella Mae passed away several years ago, but fortunately, she lived to experience the 50th Anniversary of the Gray Reunion, held just up the street from her residence at the East Union Presbyterian Church. 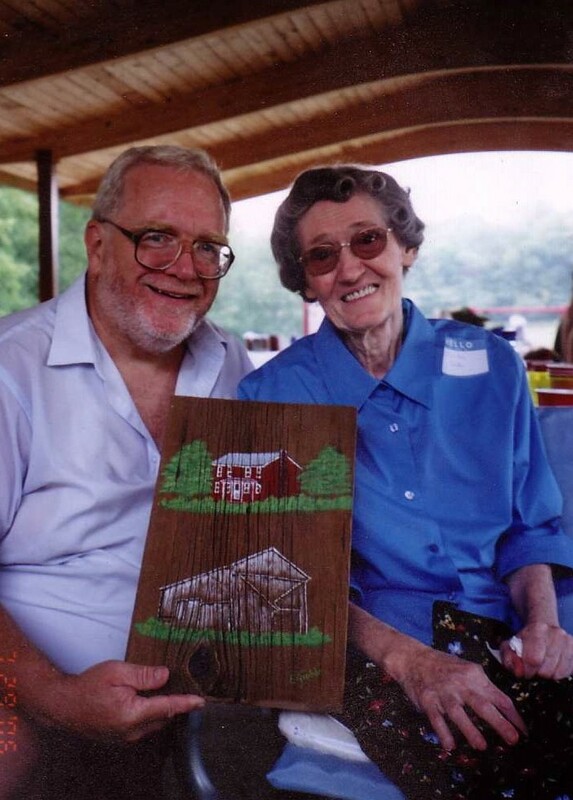 Not only that, but after that, Ella Mae hosted a series of smaller picnics for the Gray family at her house with the help of her children, Gary and Janet and their spouses. Plans are to continue the tradition for the foreseeable future, even without Ella Mae. She’s certainly missed but her spirit lives on. Aside from the delicious food and warm conversation, family genealogy and the preservation of Gray history is always part of the afternoon. While many of the folks who have would have to travel great distances and those who no longer feel connected to our many generations of Scots-Irish usually don’t attend, it seems that every year we see new faces and thankfully some younger Grays who will or have just “tied the knot.” Yes, the Gray family welcomes the youngest additions on a regular basis too. 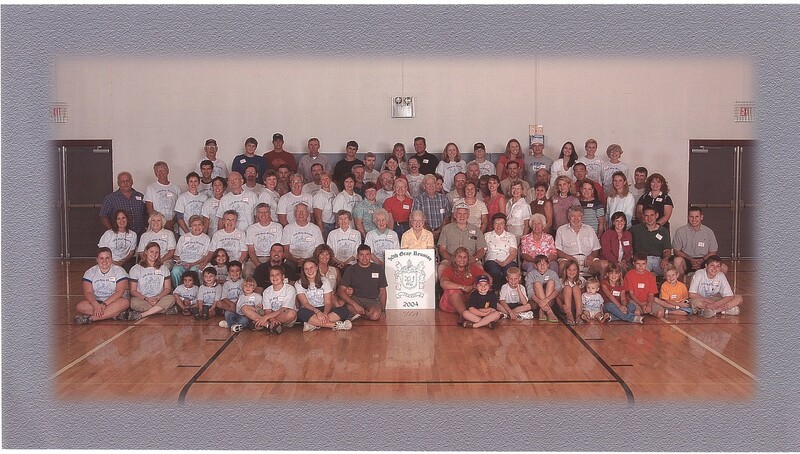 Certainly, as the years go by, many of the family units will begin their own traditions of Gray Reunions. And Ella Mae would be happy to know that they will be doing what they can to preserve our family heritage.